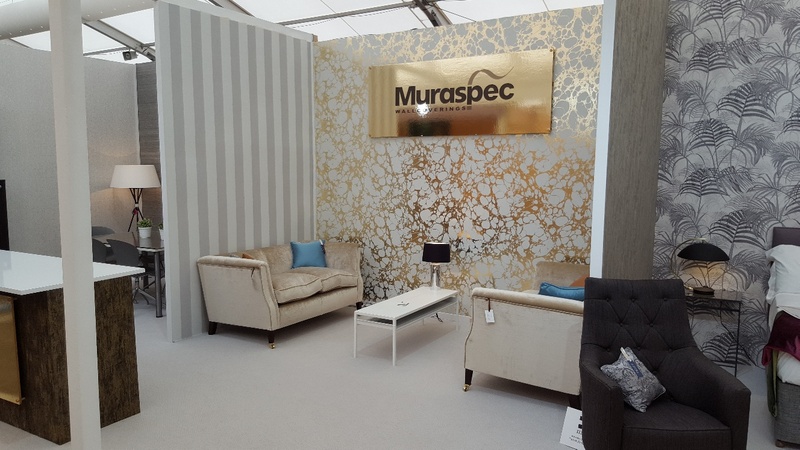 Founded over 135 years ago, Muraspec is a global leader in the design and production of commercial and high-end wallcoverings. Its products can be found in the finest hotels, shops and residences around the world. For Muraspec’s clients, quality is of paramount importance and therefore rigorous product inspection has always been a key part of the production process. Quality control and fault inspection was carried out manually until 2000 at Muraspec, when it installed its first in-line FUTEC 100% inspection and fault detection system. Muraspec has just upgraded to the latest FUTEC system, and we spoke to its Works Manager, Roger Henson, to find out more about the role that FUTEC technology fulfils at the company. 100% inspection has been in place at Muraspec for many years. When you first took the decision to invest in FUTEC, what problem were you trying to solve? Muraspec has always inspected 100% of the products it produces. In the past, this was done manually as part of the post-press process in a separate department where the reeled product was spread over large tables for inspection. In 1999, we installed a new high-speed embosser and to fully reap the benefits of the efficiency gains, we needed an automatic inspection and fault detection system. We were aware that manual inspection may not be reliable at speed and we were not prepared to compromise on product quality. So, we chose to install FUTEC to reduce our inspection costs on faster runs and make significant time savings. Gradually, we have been able to move manual inspection to a smaller area, meaning that we can use the space for more production equipment. This year, 17 years after installing our first FUTEC system, we decided to upgrade our 100% inspection. We researched the options and FUTEC turned out to still be the best choice for us. Whereabouts is the FUTEC system deployed in your production line? Our FUTEC system is on an embossing finishing line where manual inspection is not possible. It looks for faults of any kind that have occurred during any stage of production, be it coating, printing, or embossing and finishing. Give us an idea of the typical faults you encounter. These range from lines which can occur in coating and print, to banding caused by blade vibration, as well as ink splashes and bubbles, colour management, dirty marks, and so on. We also inspect the underside of the substrate for creasing, because this can impact adherence of a wall covering. The great thing about FUTEC is that it can be as flexible as you need it to be. The software also means that all faults can be recorded. How does the fault data recorded by the FUTEC system help you? It is enormously helpful, because not only does the FUTEC system do its primary function of detecting faults extremely well, it also acts as a valuable production analysis tool. It records every single fault in the entire production process so we can crunch the data to pinpoint areas where most faults are occurring and creating the most waste. This means we can effectively troubleshoot and be more strategic in our planning of runs. Does the quality assurance it provides give you a competitive advantage? Our customers’ expectations are very high. The FUTEC system is our assurance that only perfect product reaches the customer. We are operating in a very price competitive and sensitive market place and its very important for us to be able to give our customers this assurance. Products are regularly ordered with short lead times to be installed anywhere worldwide, with decorators ready to install. A faulty product would be very expensive to replace and could delay the whole job. How important will 100% inspection be for your business in the future? It will always be very important to us to supply perfect products to our customers. In the past when long runs were the norm, the quicker you picked up a fault the better. Now that there is a trend towards shorter runs, it’s just as important because the costs of raw materials have risen so much. As raw material prices increase, so does the value of waste material; therefore, we will be looking at this closely in the future to see if we can use 100% inspection in other areas of production to further reduce costs. When it comes to FUTEC installation and training, what has your experience been like? Supply, installation and commissioning of the replacement machine has been faultless. The FUTEC sales manager had a very good understanding of our requirements and was quickly able to answer our questions as well as offer good advice. Our original FUTEC system gave us a very long and reliable service, and FUTEC support has been second to none. With just a very short training session on the new system, we are very confident that our choice of supplier will satisfy our requirements. After 17years of excellent service from our old system, we know from experience the system will not let us down.